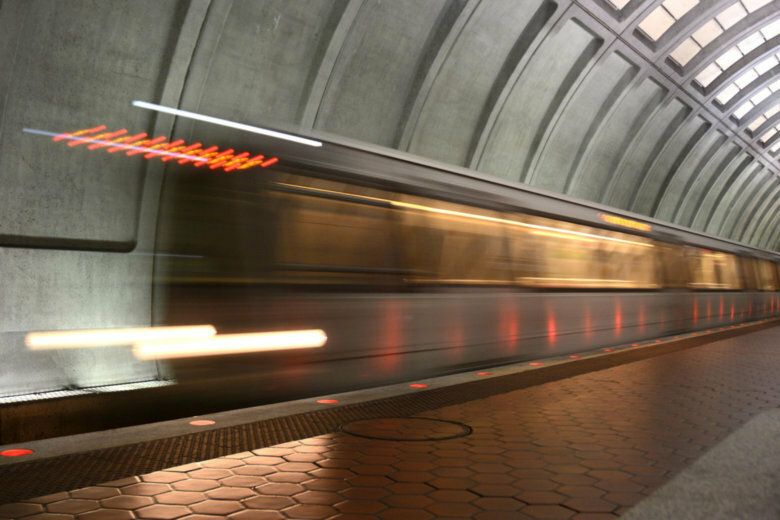 As the blind man boarded a Red Line train toward Shady Grove at the Rhode Island Avenue Metro station around 7:50 a.m. Monday, he apparently bumped into another passenger, Metro Transit police said. One of the suspects then pushed the man just as the train left the station, and began to verbally threaten him. WASHINGTON — Metro Transit police are trying to determined the identity of two suspects, after a blind passenger was pushed and threatened on a Red Line train Monday morning. Around 7:50 a.m., the man and his service dog had boarded a Red Line train toward Shady Grove at the Rhode Island Avenue Metro station. As he boarded, he apparently bumped into another passenger, Metro police said. One of the suspects then pushed the man just as the train left the station, and began to verbally threaten him. Metro police said a woman came to the blind rider’s defense, but the two suspects started yelling obscenities at her. When she tried to call police, the suspects attempted to grab her phone. She managed to hold on to her phone, call police and record a fight between the suspects and an unknown passenger as the train continued. She told police the two suspects got off at Union Station. The blind man did not have any injuries and did not require medical attention, Metro police said. Investigators are reviewing surveillance video, recorded by the 7000-series rail car’s digital recorder.